On the islands, outrigger canoe paddling is more than an enormously popular sport—it’s a culturally significant link to the extraordinary seafaring traditions of Hawai‘i’s first people, who came to the islands aboard double-hulled sailing canoes that they paddled across some 2,000 miles of uncharted ocean using only the stars and flight patterns of birds to guide them. In fact, they found the islands more than 1,000 years before European explorers arrived in 1778. Today, outrigger canoe paddling is designated as the state’s official team sport, and races draw hundreds of paddlers from clubs throughout the Hawaiian Islands. Typically, a six-person team powers an outrigger, though single- and double-person canoes also are used. The distinguishing feature of an outrigger canoe is the ama, which is a float or pontoon that adds stability in rough open water. Beyond racing, outriggers are paddled primarily for sport, sightseeing and research. 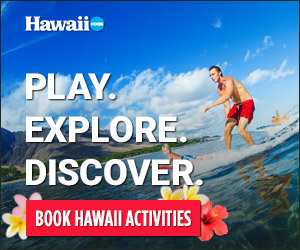 On Kaua‘i, you can see paddling clubs practicing at HANALEI BAY, KALAPAKI BAY and WAILUA BEACH. Larger handcrafted sailing canoes, built according to ancient design, have been constructed by volunteers, and are sailed on all of the main Hawaiian Islands. Many of Kaua‘i’s hotels keep an outrigger canoe for guests looking to have a Hawaiian paddling experience. Ask your concierge or activity planner, and see what makes careening down the face of a wave with five other people such a special experience.